LED lamp beads play a vital role in the LED display, but for the price of LED lamp beads, many people do not know much about it. What is the reason for the price of LED lamp beads to be different? Take a look at the following introduction to be clear, let’s take a look at the LED lamp bead price and its influencing factors! Different sizes of LEDs have different prices. For example, the price of 0603 LED and 1210 or 3528 LED is quite different; and the price of LED of 1210 and 5050 specifications is different. Don’t just pay attention to the price when buying LED lights. It is necessary to comprehensively evaluate the following aspects in order to purchase inexpensive LED lamp beads. The chip has domestic and Taiwanese chips as well as imported chips (including US chips, Japanese chips, German chips, etc.). The price varies greatly from chip to chip. At present, the most expensive US chip, followed by Japanese chips and German chips, the lowest price Taiwan chip, the heat dissipation performance is slightly worse. What chip is used specifically? What effect do you want to achieve? Be sure to know before you buy. Partial resin package and silicone package. The price of the resin package is cheaper. Everything else is the same. The silicone package has good heat dissipation properties, so the price is slightly more expensive than the resin package. At present, there are many packaging factories in China. There are thousands of large and small, and of course there are strengths and weaknesses. There are many small packaging factories that do not have a splitting color separation machine, so they either do not separate the color separation or are outgoing, so it is difficult to guarantee the quality. 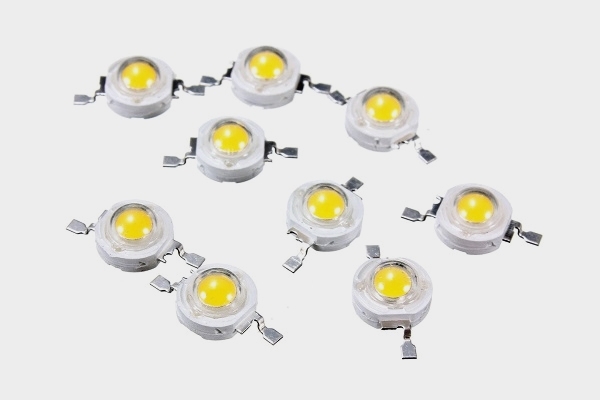 LEDs that have not been subjected to spectral separation have poor color consistency, and the effect of being lit on the LED bead is not so good, of course, the price difference is relatively large. The assembly of LED lamp beads is divided into manual welding and machine welding. Manual soldering is a soldering iron that uses the most primitive method of soldering. The product that enters this way is ugly appearance (inconsistent solder joint size) Fuzhou LED electronic display) Second, the electrostatic maintenance measures are not good, many LED chips are broken down, resulting in a slight or no bright phenomenon when power is on. Machine welding is done by reflow soldering, and machine welding is different. Not only does the welded product look beautiful (the solder joint size is the same, the solder joint is smooth, there is no flux residue, the LED package is intact) and the chip is not burned by static electricity. At the same time, the LED position and direction are more beautiful. This can be seen directly from the appearance. FPC is divided into two types: copper and copper. Copper clads are cheaper and calendered copper is more expensive. The pads of the copper plate are easily peeled off when bent, and the rolled copper does not. Which kind of FPC is used depends on the salesman’s own decision based on the usage environment. Does FPC have passed environmental certification and UL certification? LED has patents and so on. No price is low. There are certified and patented prices that are more expensive. LEDs with different brightness prices are different. The difference between the price of ordinary brightness and high brightness LED is quite different. Therefore, when buying, you must know exactly what kind of brightness you need, so that you can accurately locate your product. The colors are different. The price is different. Red and green are more difficult due to color matching and spectral separation, so the price is higher than other colors; red, yellow, blue and other color separations are easier, and the consistency is better, so the price is slightly cheaper. Special colors such as purple and brown are the most expensive due to color matching.